With our own in-house dental technician, at Smalto Dental Clinic we can deliver Same Day Teeth solutions. 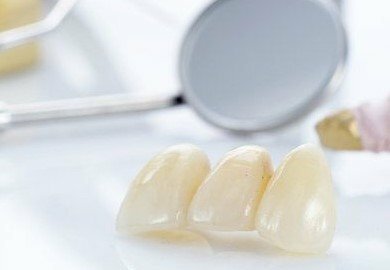 Consequently, our dentists can work in closer collaboration with our technician, allowing for Prosthetic restorations with the best possible aesthetic results. Smalto Dental Clinic also specializes in immediate implant placement and immediate loading on the same day with temporary prosthetic restorations. So when you walk into our Clinic for any dental make-over, you will walk out with either temporary, provisional or even final restorations that look, feel, and function like natural teeth. At Smalto Dental Clinic we pride ourselves for doing things right. That is why we do not recommend same day fittings of final restorations. In any case, only 10% to 20% of simple prosthetic dental restorations merit same day permanent work. 90% of big dental restorations involve gum treatment, root canal treatment and smile design first. Equally important, is how temporary restorations enable you to "preview" the final result of your smile design or reconstructive treatment and "test drive" the fit, look, comfort and function of the anticipated smile makeover or restoration. Protecting teeth that have been prepared for a final restoration and preventing unwanted tooth movement. Enabling patients to smile, eat and speak normally. Maintaining the health and contours of the gum tissue, testing smile line, gum lines. Serving as a discussion point for addressing cosmetic or functional concerns during the interim period, to avoid the need for additional procedures, adjustments and remakes.